It won’t be much to say that Cup-Noodles is one of the greatest inventions. Ever since it went to market in 1971, it has been selling like hot-cakes in more than 80 countries around the world. Not only as a tasty snack, it has served as a lifeline in military settings and now has even become a space food. 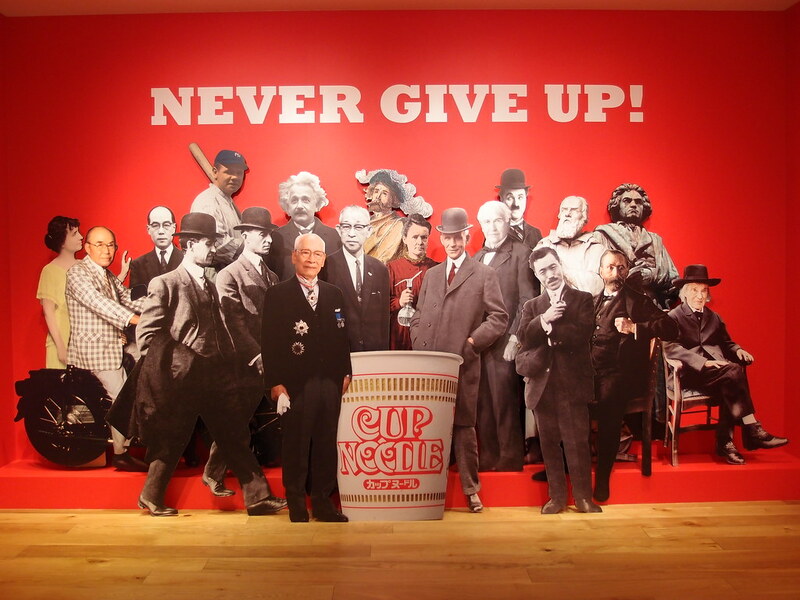 Learn the moving story of why and how cup noodle was invented while enjoying a hands-on experience of creating your very own noodles at the museum. It makes a perfect day-out with family, friends and couples. First and foremost, the best attractions of this museum are the “Chicken Ramen Factory” and “My Cup- Noodles Factory”. At the “Chicken Ramen Factory”, you begin with kneading the wheat flour all the way through to drying it using the hot oil drying method. You can takeaway and enjoy your freshly made ramen at home. At “My CUP-NOODLES Factory”, as the name suggests, personalize or re-create your original Cup-Noodle packages as well as select your favorite soup with toppings from 12 ingredients. There are 5,460 flavor combinations in total. One other thing that makes your visit worthwhile is an encounter with the creative head Mr. Momofuku Ando, the founder of Nissin Food Products. He made some great achievements with his goodwill after experiencing uncountable trials and errors. You can watch a brief life-story of Mr. Ando at the Momofuku Theater (named after him) and learn more on an expansive 58-meter long panoramic exhibition. There is also a special section for children where they can experience the manufacturing process by actually going through the process just like an adventure exercise. Lots of little obstacles make them walk, jump and duck. They can learn the process while enjoying an exercise session.